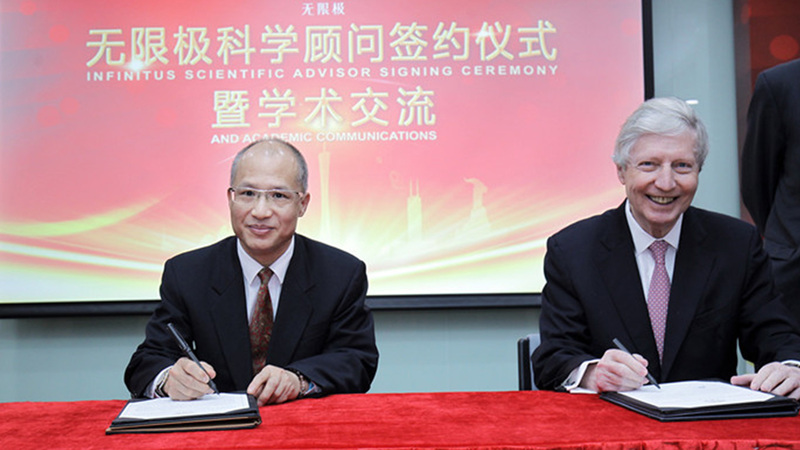 On March 6, 2017, Infinitus (China) Company Limited, a member of LKK Health Products Group (LKKHPG), appointed the Nobel laureate Professor Jules A. Hoffmann as an Infinitus Scientific Advisor, and the signing ceremony took place in Guangzhou, China. 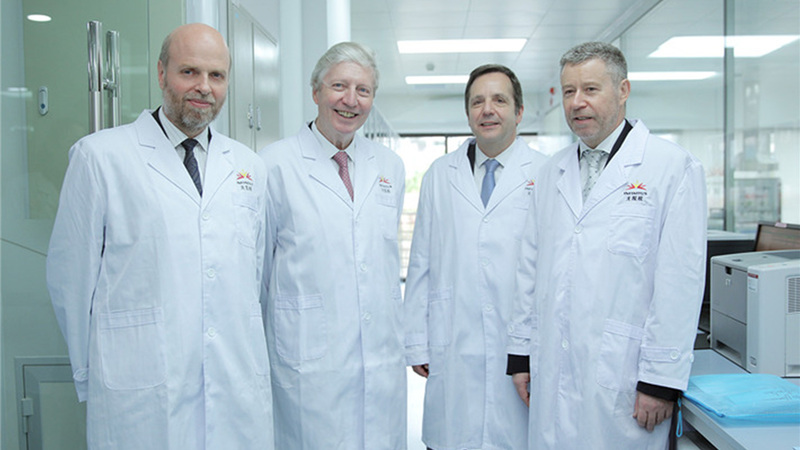 Infinitus will establish a long-term strategic partnership with Prof. Hoffmann and his team from the French National Centre for Scientific Research (CNRS), and will carry out in-depth cooperation in anti-virus activities, gut immunity and other fields with TCM to favour the application of basic research to Chinese herbal health products. This is expected to further regulate human immunity and enhance the ability to prevent and treat diseases. Prof. Hoffmann has devoted his life to the study of innate immunity. Recognised as a pioneer in this area, he has been elected to the national academies of sciences from many countries, including the U.S., France, Germany and Russia. He and his associates have discovered the role of the Toll transmembrane receptor in sensing pathogenic micro-organisms. The discovery of this key principle has provided a basis for understanding the activation of the adaptive immune response by innate immunity and has opened new paths in the prevention and treatment of major immunity-related diseases. Because of this, he has won many well-known international awards, including the Nobel Prize in Physiology or Medicine 2011. 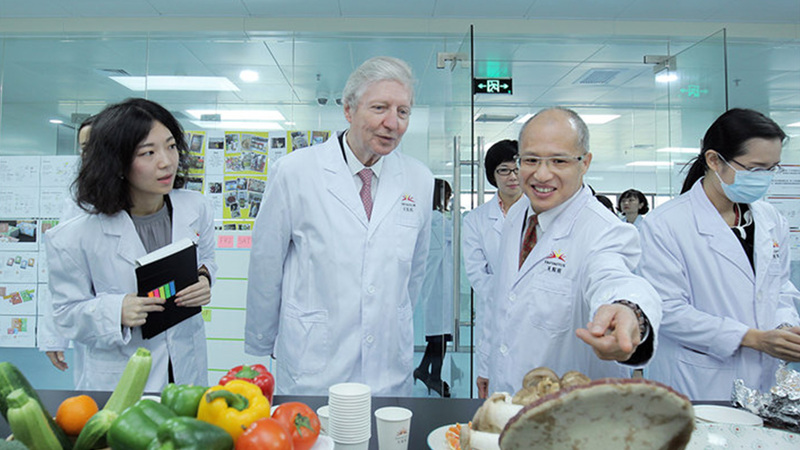 Regarding the partnership, Prof. Hoffmann commented, "The efficacy of Chinese herbal medicine is getting more and more attention nowadays. Its important role in immune regulation has become a global academic interest, which warrants the development of basic research in this area. 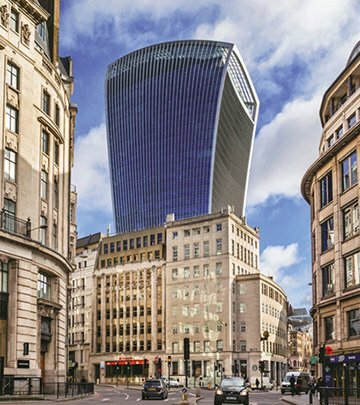 Given the significant achievements and the solid strength in R&D, Infinitus is an ideal partner for such undertakings." 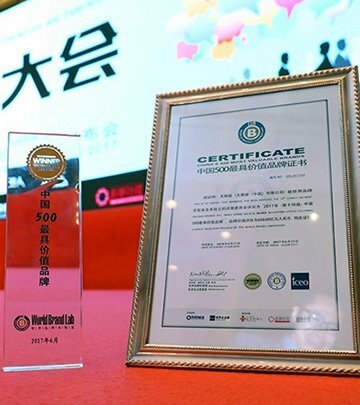 Infinitus has been dedicated to providing the public with high-quality Chinese herbal health products and services for 25 years. 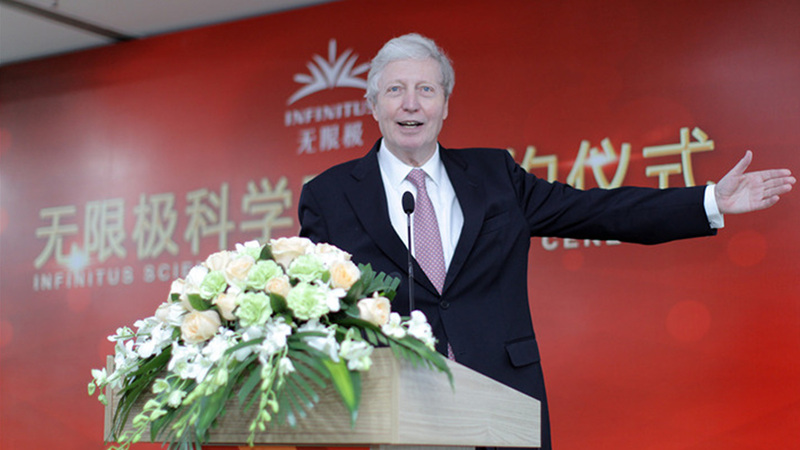 In 1994, Infinitus brought into market its first compound polysaccharides-based product, Infinitus Health Tonic, which acts on regulating the human immunity and has leading market shares in China now. 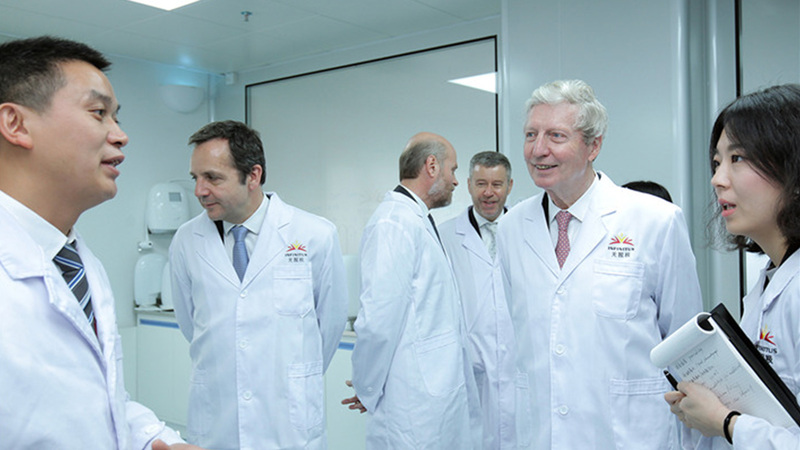 In addition, Infinitus has cooperated with Guangzhou University of Chinese Medicine, Shanghai Institute of Materia Medica, Chinese Academy of Sciences, and other authoritative institutions for the immunity research of TCM compound polysaccharides. 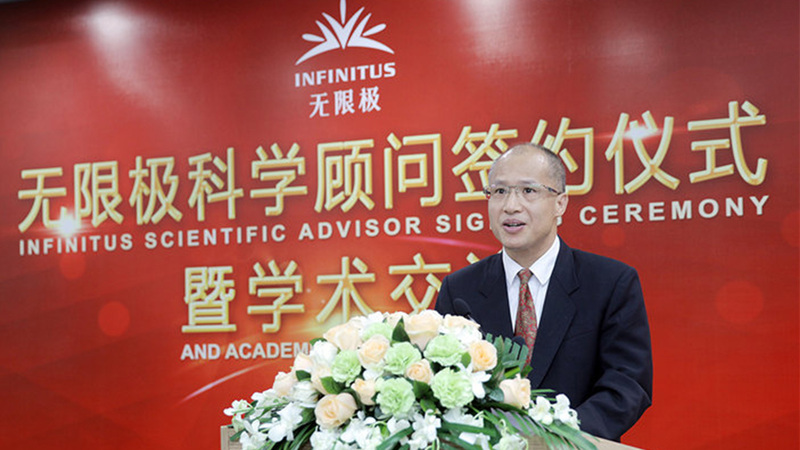 In 2012, Infinitus launched the Polysac™ compound polysaccharides, which attained patents from both China and America, and further strengthened its position in the immunity research of Chinese herbal medicine. Mr. Harry Yeung, Senior Vice President of LKKHPG said, "With Nobel laureate's achievements in immunity system and Infinitus' experience in TCM research, the cooperation will further strengthen Infinitus' R&D capability in immune regulation with TCM, from which consumers will benefit via high-quality Chinese herbal health products with more remarkable effects."